So now the violence has spread to the broadcasting studio from where you can hear of radio sound echo of slap or see on television an actual slap, not a figurative slap in the face. It's like democracy and its free speech anchor are under siege. The Governor who actually brought that device to our land insisted only the British colonial anointed will be heard on it. 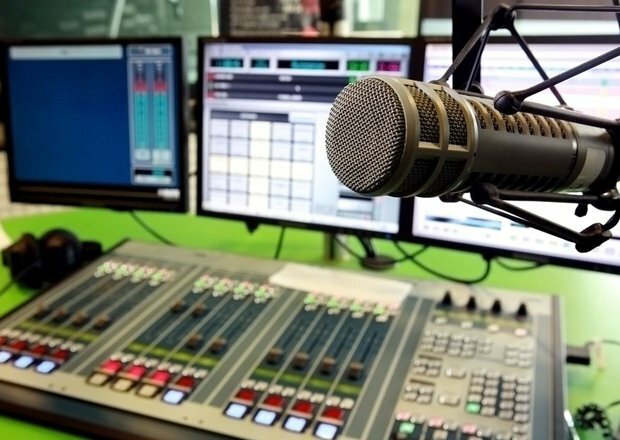 He rejoiced that in the one-way re-diffusion box format, messages would be directed to listeners only to ensure the exclusion of content of 'mischievous pabulum' from the audience and, thus, avoid polluting the airwaves. Today, anyone, anybody and everybody has access because they are journalists or broadcasters, whether that description is arrogated or usurped because they have a right to be so. Programmes are developed giving access to anyone and everyone without any regulation of what is broadcast. Provoking mouth or tongue or verbal violence is spewed all over the place. It was only a matter of time for that to incite in-studio slap or assault or whatever that may be called. Those who invented broadcasting make sure there are rules to avoid that kind of unwanted display of uncivility. We take other people's good intention inventions and use them to destroy ourselves badly. The way 'ampɛbrɛ' people so dominate radio content, I don't think 'eɔists' anywhere in the place of invention. And so as long as we tolerate ampɛbrɛ seizure of radio, we should be prepared for more embarrassing and anti-progress radio. Cure the ampɛbrɛ syndrome presence on radio and radio will be free to deliver progress. Inventions are usually for the benefit of humankind, but when we adopt them we convert to harmful 'me first;' what suits the individual or small group and yet is injurious to others around. Take the loudspeaker amplifier combination. Selfish individuals and groups blare noise to destroy every ones ears, their eardrums already blown apart. The illusionary revolution breeds violence easily. Free speech is not revolutionary but they say anything anyhow, anywhere and how ever. I haven't been a fan of the political party (including that gangster club) communicators. They go to ideological or whatever school to be trained to say cow for goat or brown for black. They are to repeat to confuse the audience to accept their lie of distortion. Hear them all over saying it is somebody else, some other group, that is violent. They stage the thing and turn round to blame others. For as long as they get support of their 'blame us not' stance, this motherland would never make any progress in her life. They have little knowledge so they act little. They are simply incompetent in performing any public inuring acts. They know that. So they spend all their time planning and implementing schemes that would portray their opponents as doing the wrong things. Just watch and listen to them carefully. All they have to say, virtually at all times, is how badly their opponents are faring. They know they are incapable of doing anything new that is good, so you undermine them by bad-mouthing them. 'Say one time premium because there is nothing new we can offer. Or just bluntly we would do better whatever our opponents are doing.' It is talk, all talk with no idea about how to do anything that is good. If you don't know anything you can do because you don't have the competence to do anything, you whine, winging all the way in readiness to destroy anything you touch because you don't know how to touch rightly. They look around in bewilderment; totally astonished there is actually a new Ya Na and that night and day pass without dumsɔ. Right before their eyes, they see free SHS. So what else to do than create diversionary mischief? So once again, change your ways all those who think when doing radio anything goes. With authorization, it is not about what expertise you have to do radio but how much you can pay or how close you are to a ruling political party. When you have that kind of arrangement, all you get is mediocrity which becomes the yardstick of excellence; someone's mediocrity becomes your benchmark of excellence. We change for the better or we stagnate. We can better our broadcasting standards or continue to lower them. Anyone cares?